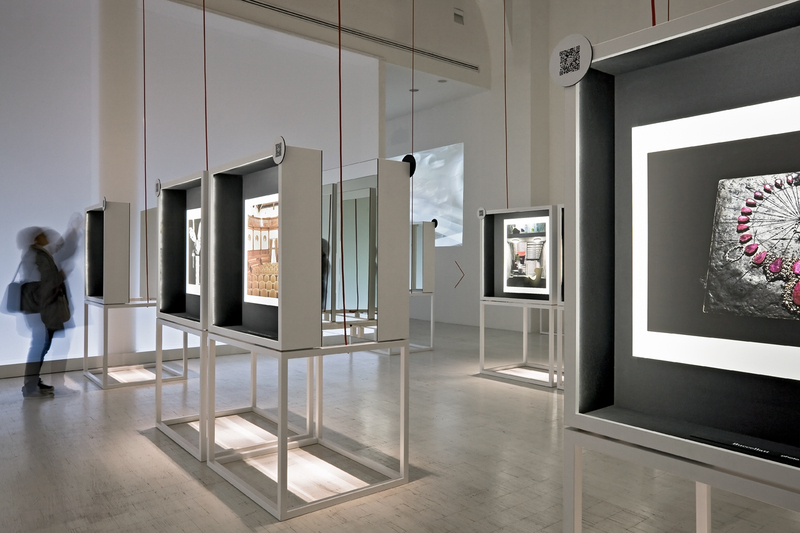 A landscape of images marked by an evocative path, in the middle of lights and reflections, has been created by Ico Migliore and Mara Servetto for the exhibition “Altagamma – Italian Contemporary Excellence” curated by Cristina Morozzi at the Milan Triennale. 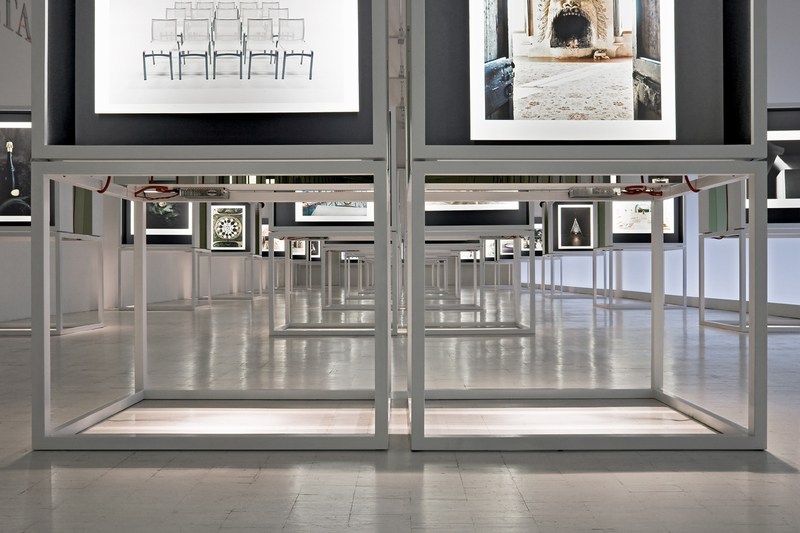 A completely white space lit by 65 cases hanging on long and red exposed wiring cables, to host and give light to the selected shots. 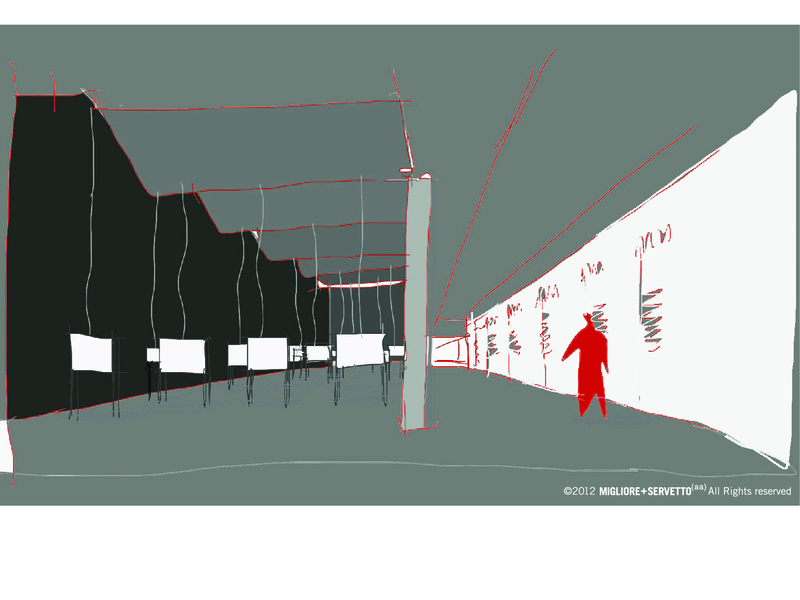 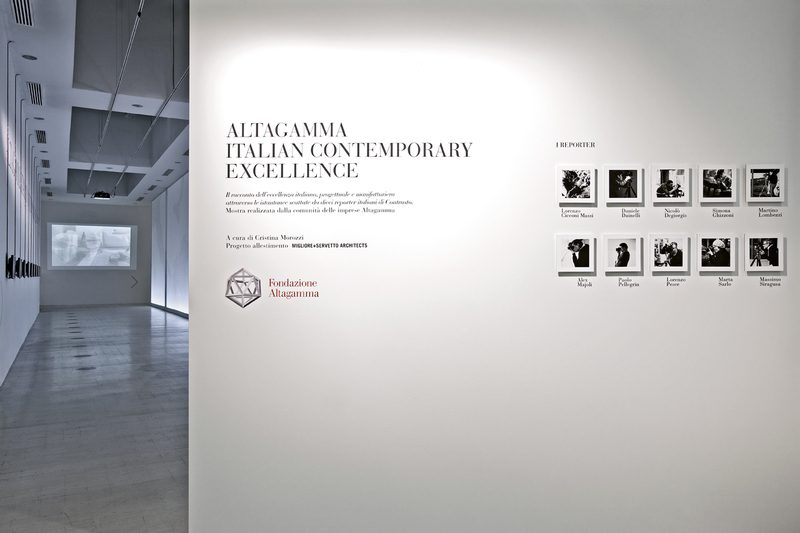 The cases have been designed, in their shape and disposition, as a sort of tridimensional layout within a big white page, to define an overall scenario about the Italian manufacture and industrial excellence. 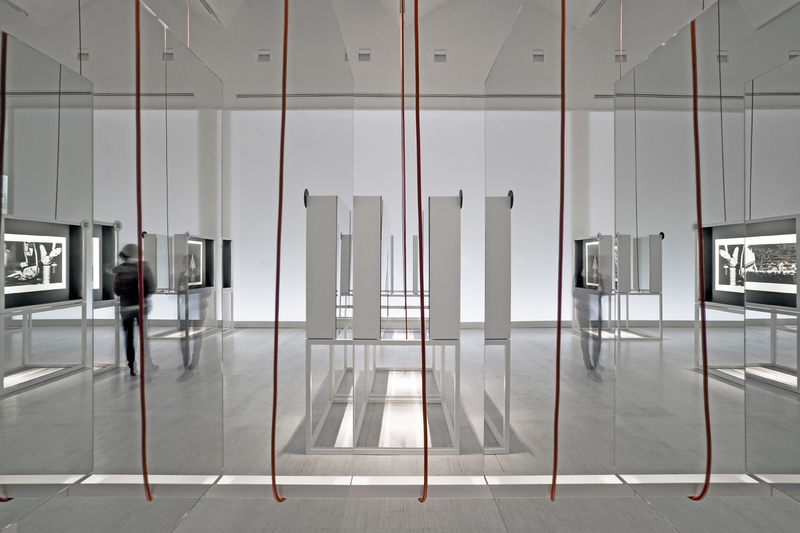 The mirror insertions create free and surreal links between images and the volumes of the cases creating several visual connections and reflections, where lightness becomes a dominant element. 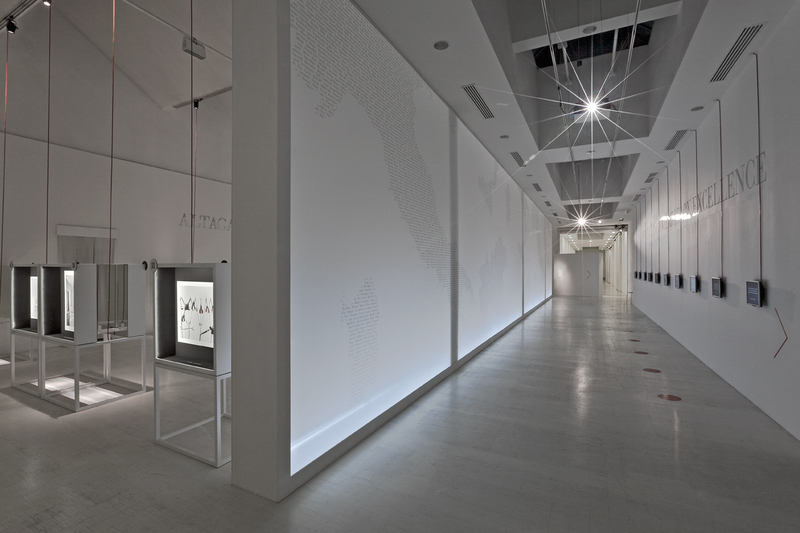 In its rhythmic sequence, the path builds up as a free and changing flow of each visitor. 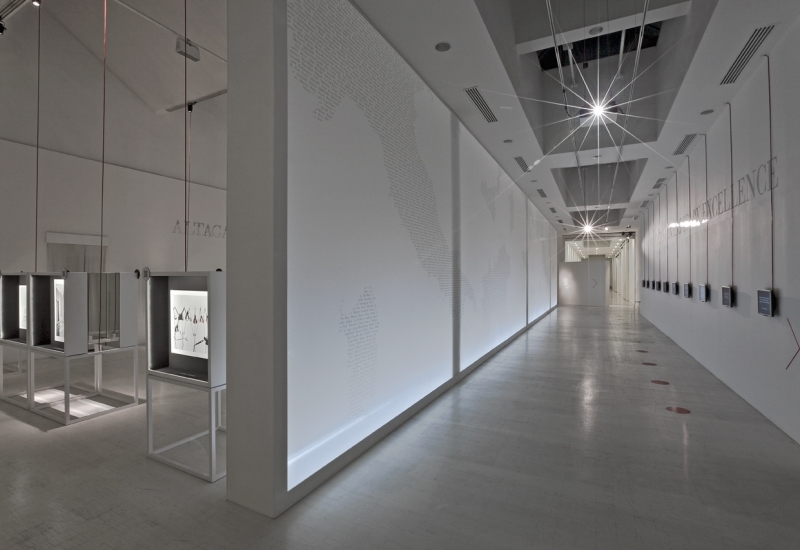 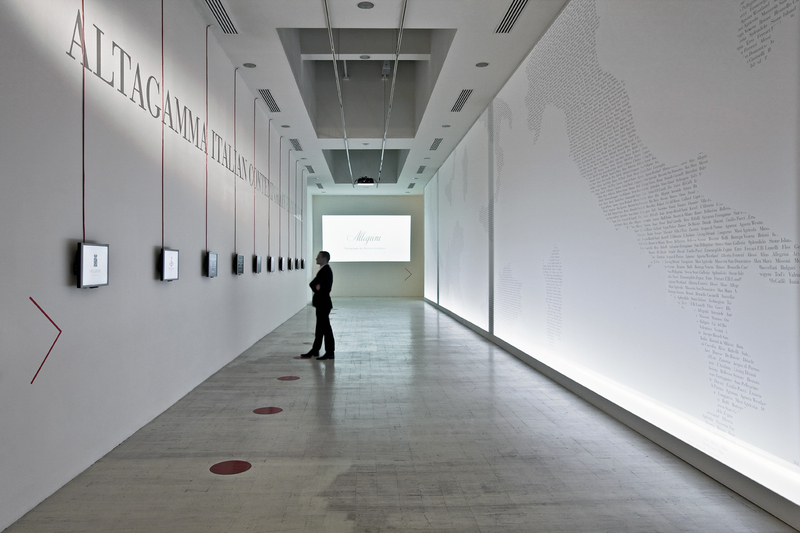 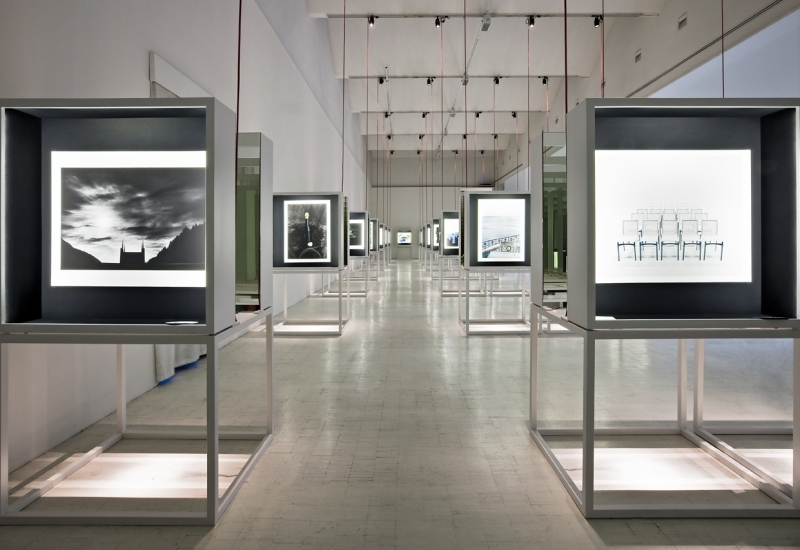 At the entrance a long lit corridor guides the visitors in a “trip throughout Italy”: a continuous surface of light forms the background of a black & white graphics about made in Italy, while on the opposite side 10 monitors talk about the philosophy of the brands through images and texts. 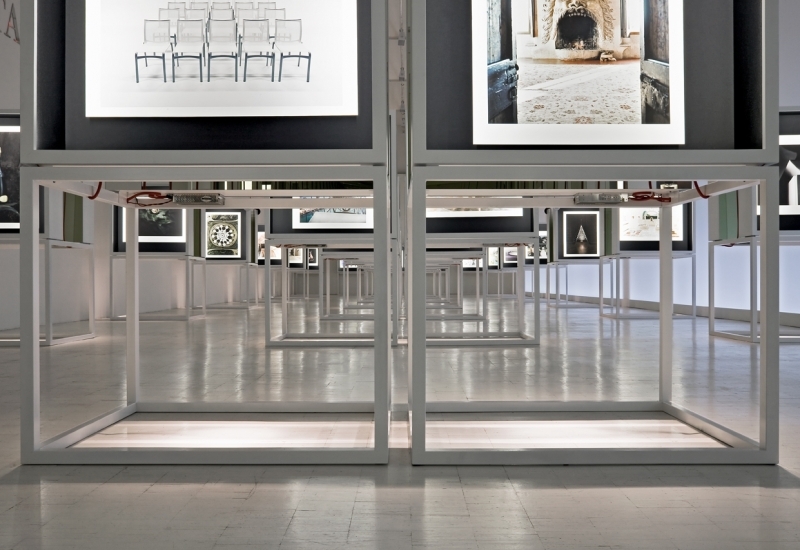 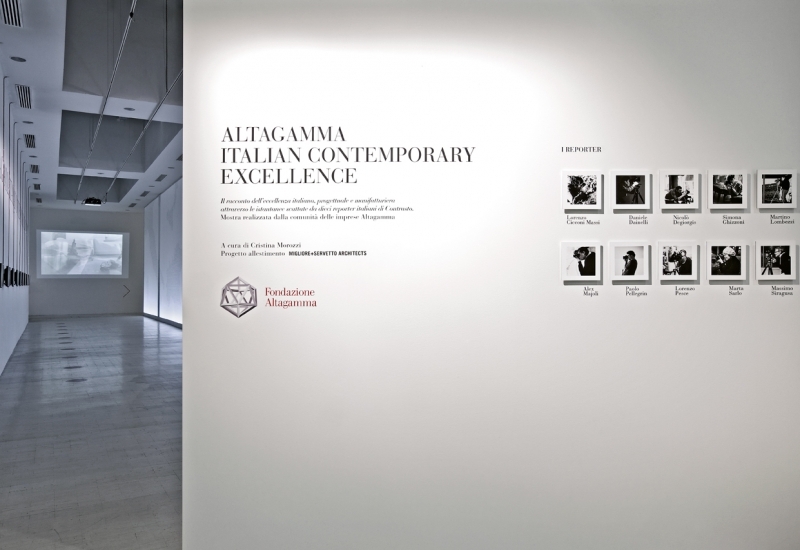 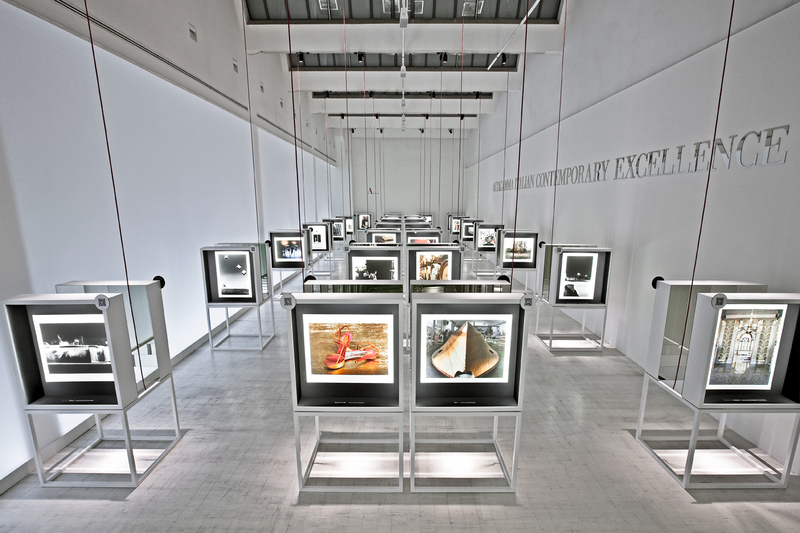 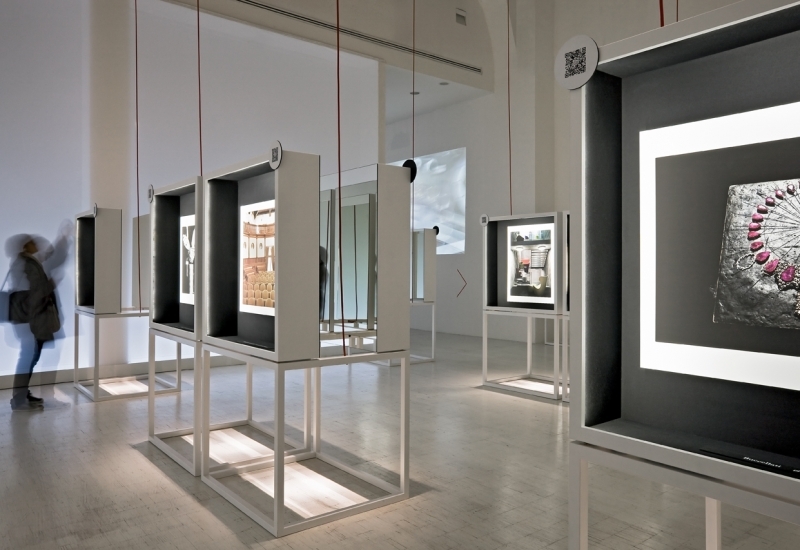 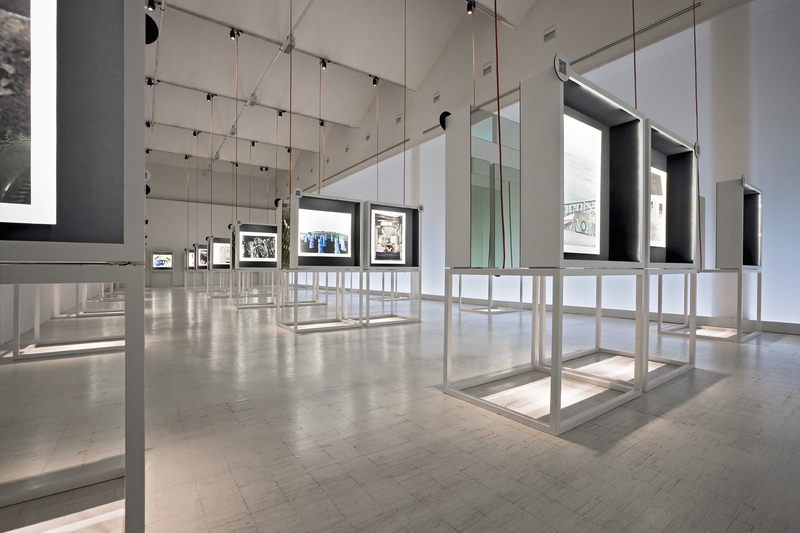 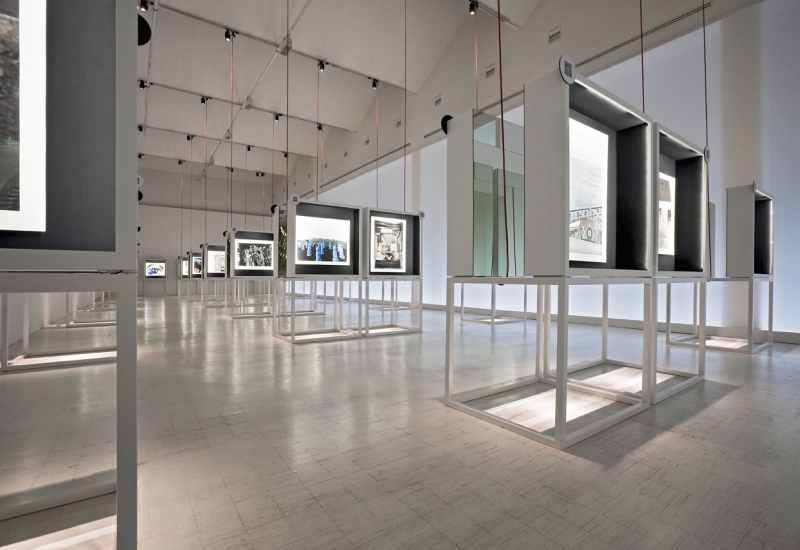 At the end of the tunnel, as a premise to the landscape of images, a great projection floor shows the experience of the young reports that were asked to interpret the Italian brands of the exhibition.